One in four people in Denmark who suffer a heart attack leave their jobs within a year of returning to work. Heart attack survivors with diabetes, heart failure, depression and lower educational and income levels were the most likely to not be working a year after their heart attack. 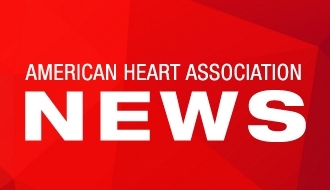 DALLAS, Oct. 4, 2017 — One in four people leave their job within a year of returning to work after having a heart attack, according to a newly published study from Denmark in Journal of the American Heart Association, the Open Access Journal of the American Heart Association/American Stroke Association. While previous studies have looked at return to work following heart attack, this study analyzed long-term employment. Despite a high number of heart attack patients returning to their jobs shortly after the event, the new findings reveal a surprisingly high degree of unemployment within a year after a heart attack patient returns to work. Of the 22,394 heart attack sufferers who were employed before having a heart attack, 91 percent returned to work within a year of the episode. However, within a year of resuming work, 24 percent of the more than 20,000 patients who returned to work left their jobs and were supported by social benefits. The data used in the research analysis did not include information about whether people left their jobs voluntarily or involuntarily. “The ability to remain employed following a heart attack is essential to maintaining one’s quality of life, self-esteem, emotional and financial stability, so our findings carry critical implications not only for Danish patients but, perhaps more importantly, for people who live in countries with less advanced social welfare systems than Denmark,” said study first author Laerke Smedegaard, M.D., a medical doctor at Herlev & Gentofte University Hospital in Hellerup, Denmark. The highest rate of work dropout was among 30 to 39-year-olds and 60 to 65-year-olds. The finding that younger people are more likely to leave employment is particularly alarming, the researchers say, because this population has more productive work years left. People with heart failure, depression or diabetes were far more likely to drop out of the workforce, the study showed. People with higher education and income were more likely to remain employed, compared with those with lower educational and income levels. After a heart attack, healthcare providers routinely focus on preventing complications, such as recurrent heart attacks, heart failure and whether a patient returns to work. “When evaluating a heart attack patient’s quality of life and functional capacity, simply returning to work after a heart attack isn’t enough. Our findings suggest that cardiac rehabilitation after a heart attack should also focus on helping people maintain their ability to work in the long term for those who return to work,” Smedegaard said. The study’s results stem from an analysis of 15 years’ worth of records in the Danish national registries of more than 39,000 people, ages 30 to 65, who suffered a first heart attack between 1997 and 2012. Co-authors are Anna-Karin Numé, M.D. ; Kristian Kragholm, M.D., Ph.D.; Mette Charlot, M.D., Ph.D.; Gunnar Gislason, M.D., Ph.D., Prof. and Peter Riis Hansen, M.D., Ph.D., DMSc, Prof. This work was funded by the Danish Agency for Science, Technology and Innovation, the Danish Council for Strategic Research, Helsefonden and the Danish Heart Foundation. After Oct. 4, view the manuscript online. Medical doctor at Herlev & Gentofte University Hospital in Hellerup, Denmark.